The ultimate voice and SMS platform for sales teams. QUALIFY. CONNECT. CLOSE 9x MORE DEALS. SALES CADENCES AND WORKFLOWS. AUTOMATED. Use Kixie on any device, any where, any time. No hardware needed. Use your phone service or use ours - the choice is yours. We take telephony serious because the phone is the lifeblood of your business. 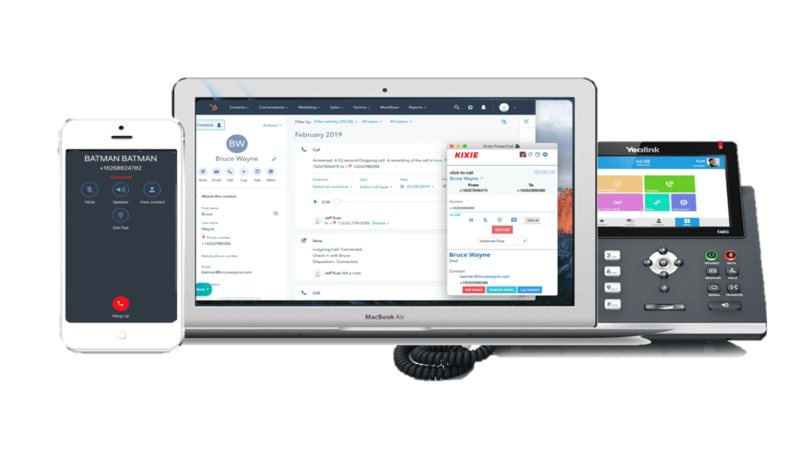 We offer a sales dialer, intelligent CRM integration, and Enterprise phone service all-in-one. We have all of the phone and SMS features your business needs. Kixie offers some fantastic features. We save hundreds of dollars each month with their unlimited minutes plan. And the success of our campaigns saw an 8% bump in connection rates when we enabled local presence to always show a local area code when placing outbound calls. Kixie provides reliable service with affordable prices, top notch support, and fantastic features. You really can’t do much better. Nothing but a great experience using Kixie! Being able to choose a local number is amazing. With a local number, I am able to establish my presence in our company's region and close more deals!. 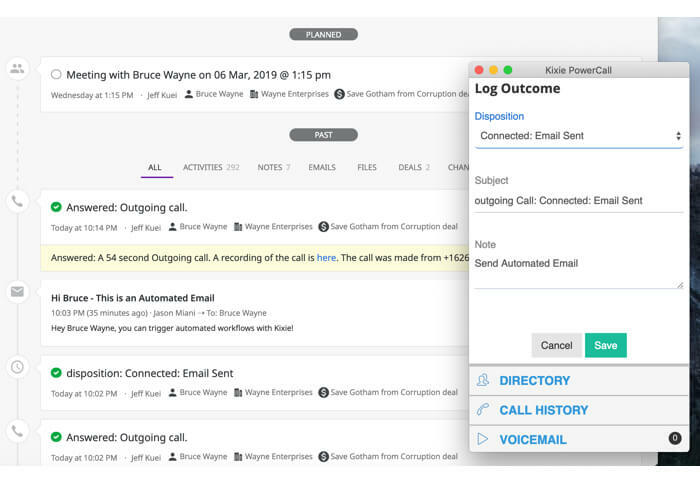 Multiple voicemail drops, sms, and reporting features are the icing on the cake. Customer support is always there to help and super reliable. 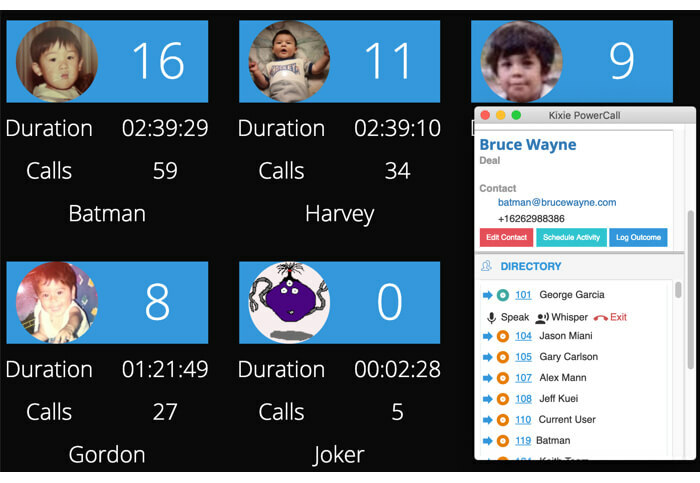 Within three months of using Kixie, we dropped our time to first call from around 35 minutes down to 9 minutes. In turn, this increased our conversion rate tremendously! Since we started using Kixie, our SDRs have been able to contact more leads in the most efficient way possible. 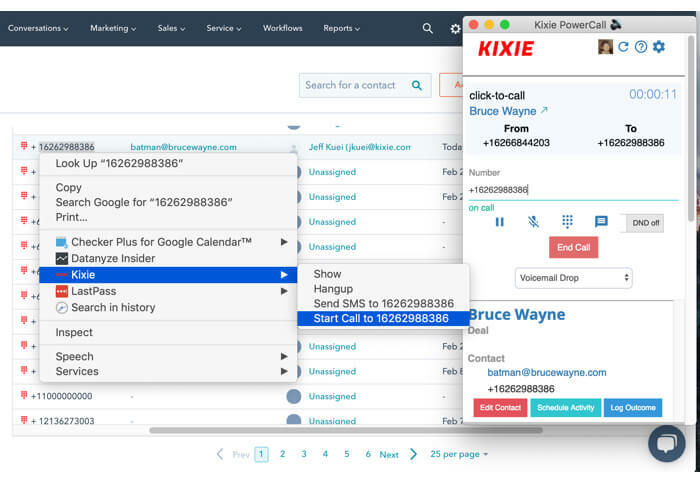 They are calling from a single list view that allows them to quickly call the hottest leads and Kixie's sales tools give them the best chance to connect and engage with our prospects. ​I was evaluating Kixie and a competitor and I decided to choose Kixie because of their great customer service and willingness to solve MY phone problems, not someone else's. They listened to our sales ops phone inefficiencies and worked with me to come to a great solution. Also, I loved the ability to trial the phones to validate the quality of the service.